Back in September 2013 I attended LibCampEast, an unconference event for the East of England. I'd never been to an unconference before so I was keen to make the most of the format. 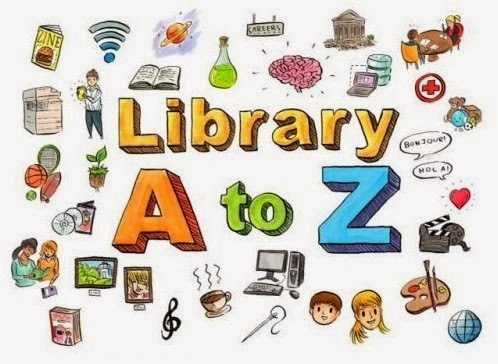 One of the sessions I attended was led by Gary Green who wanted to produce an A-Z of words and themes associated with libraries to turn into a promotional tool. I had great fun at the session thinking of things for all the letters and discussing with the other attendees. Following a successful Kickstarter campaign to raise funds, Gary and his partner in crime Andrew Walsh have managed to compile a range of fully illustrated promotional materials. Information about the project and the materials can be found here and I encourage everyone to go and have a look. As well as providing an exciting way to advocate for libraries this project shows what librarians can do if they put their mind to it which I think is brilliant advocacy for the profession in itself!